The Gold Awards 2018 was a starry event packed with television celebrities including TV stars such as Divyanka Tripathi, Vivek Dahiya, Karan Patel, Hina Khan, Nakuul Mehta, Surbhi Chandna, Mohsin Khan, Shivangi Joshi among others. 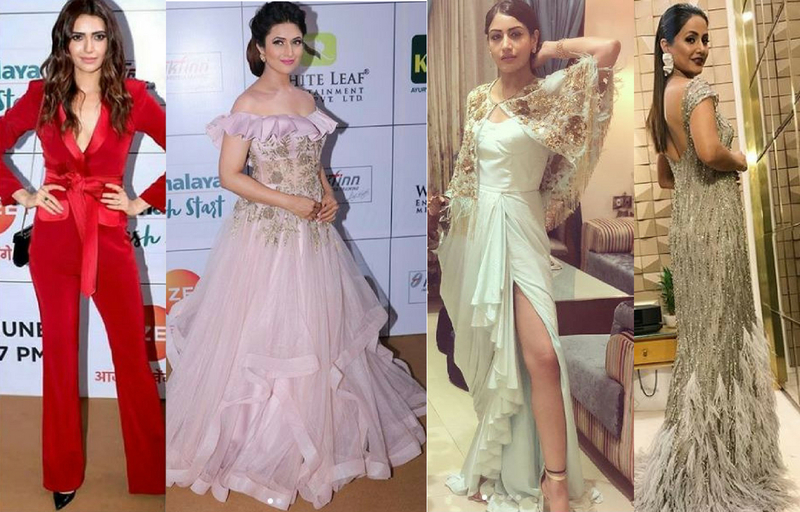 For all the television buffs here we compiled the list of best-dressed celebrities at the grand events. Tags: Bollywood, Bollywood Celebrities, Fashion, Trending Celebrity, Latest Bollywood news, Hollywood News, entertainment updates, Divyanka Tripathi, Karishma Tanna, Hina Khan, Gold Awards 2018, Naagin 3, Surbhi Joyti, fashionistas, Bollywood fashion, Sanju, Celebrity hairstylists, Ranveer Singh, Rajkumar Hirani, Ranbir Kapoor.